From the Disney movie Frozen comes the Time Teacher Alarm Clock! 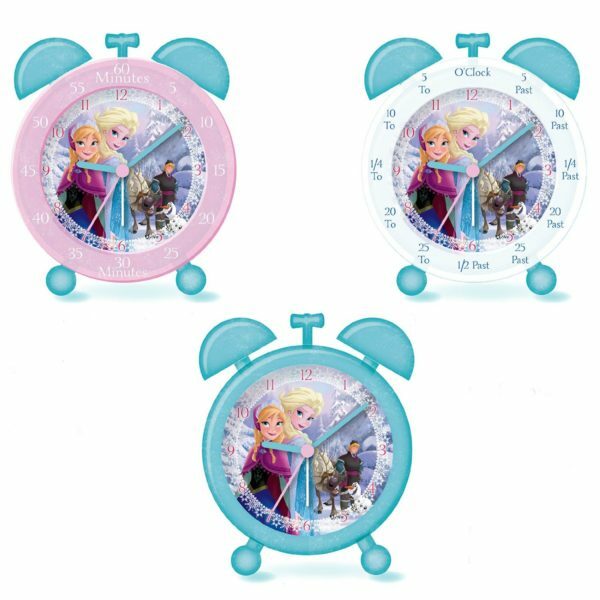 From the Disney movie Frozen comes the Time Teacher Alarm Clock! Help tell the time with the interchangeable trims. Features an analogue style clock with a printed picture of Anna, Elsa, Kristoff, Sven & Olaf. Batteries not included.